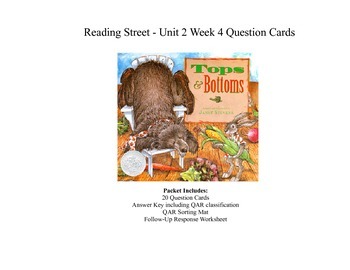 This packet includes 20 higher order question cards to ask while reading the main selection "Tops and Bottoms." 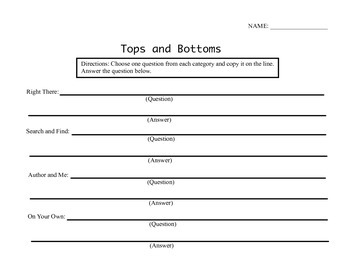 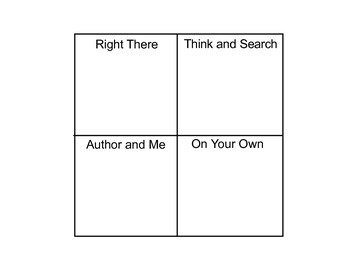 These questions vary in levels according to Webb's Depth of Knowledge, and may also be sorted into the CRISS strategy QAR (Question and Answer Response) Categories. 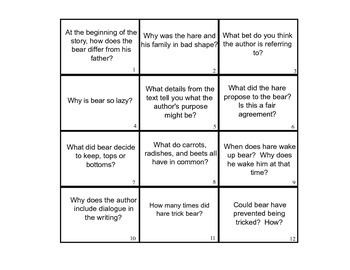 The answer key provides the QAR category (which can be sorted onto the QAR sorting mat provided in the packet), an answer to each question, and which page number to reference when answering the question.